In order to return meaning to a term that has become increasingly ambiguous in recent years, The Lab has developed a rigorous definition of “sustainability” and a derived set of five core principles, offered as a framework to guide and inform decision-making in the context of environmental and societal issues. 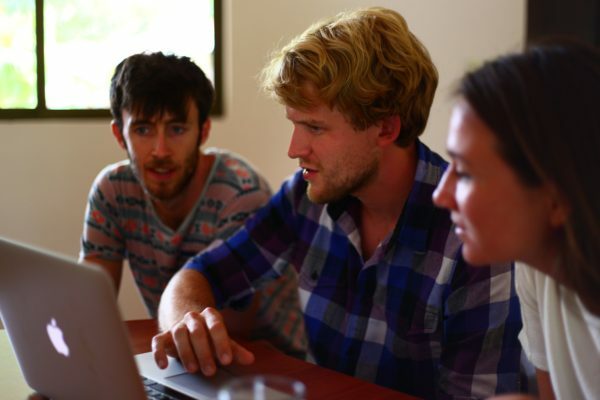 To increase understanding of what these principles are and how they can be applied to real-world challenges, participants of The Lab’s Global Sustainability Fellows Program (GSF), who have since formed the consulting firm Loops, are developing an online education module which aims to demonstrate The Lab’s sustainability framework using the language of System Dynamics. The interactive module, which will be accessible through The Lab’s website and launched later this year, will allow the user to explore the different aspects of The Lab’s sustainability framework through short stories and exercises that demonstrate applications of the principles. The module will also compile reading material and other useful resources for those who want to go deeper into some of the subjects touched upon in the lessons. Aside from providing deeper knowledge of The Lab’s definition of sustainability, the education module also gives an introduction to systems thinking and System Dynamics, one of the main tools that comprise The Lab’s unique approach to development. System Dynamics is a methodology that uses computer simulation models as a way of analyzing, understanding and managing complex systems, such as economies or ecosystems. Perhaps its most famous application was in the WORLD models, which formed the basis for the groundbreaking book The Limits to Growth. In this module, the team will be using system dynamics models as a medium for demonstrating ways in which The Lab’s Five Core Principles of Sustainability are interrelated, and for showing how the principles can be used to achieve a state of sustainability on our planet. This module will be used broadly in The Lab’s educational offerings, including the Global Sustainability Fellows Program, as a way to begin working with the Principles and as a crash course in the essential tool of System Dynamics. Three members of the team at Loops were inspired to undertake this project as a result of their participation in the GSF, which combined theory from The Lab’s sustainability framework with practical applications via a development project with the community of Martina Bustos in Liberia, Costa Rica. During the course of the program, GSF fellows developed systems thinking diagrams with members of the community, which allowed both the fellows and community members to explore how seemingly unrelated issues (whether economic, social or environmental) were in fact strongly interrelated. The diagrams were at the heart of developing a long-term sustainable development plan with the community. These sessions also demonstrated the great potential in using System Dynamics in development work, even with groups who are not otherwise familiar with the tool, and as a way of defining and visualizing transition to a sustainable state. Work on creating the education module has already begun, and we look forward to sharing the results with you all in the months to come!